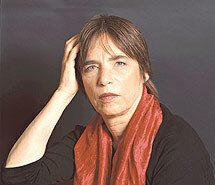 Nurith Aviv was born in Tel Aviv in 1945. Currently based in Paris, she a citizen of Israel and France. She began her career as a press photographer in the Israeli Army, following in the footsteps of her father, a famous press photographer. She went on to Paris, where she studied at the film school IDHEC. Upon graduation, she returned to Israel where her first Director of Photography position was on the feature film Shablul (which has a cult following to this day). David Sterritt wrote in the Christian Science Monitor that her, "Unusually creative visual style make the picture as lively to watch as it is illuminating to think about" and Film Journal International has hailed her camera work as "Innovative and daring." Upon her return to Paris in the mid-1970s, she became the first woman in France to be officially recognized as a Director of Photography. As such, she has worked with a wide range of directors including Agnès Varda (Daguerreotypes, 1975) and Réné Allio (Moi Pierre Rivière ayant égorgé ma mère, ma soeur et mon frère, 1976), and perhaps most notably, she has collaborated with the important filmmaker Amos Gitai on his masterpieces Field Diary (1982) which the The Village Voice called, " Surprisingly lyrical" and A House in Jerusalem (1998). Nurith Aviv has worked on about 100 films, both fiction and documentaries, and has directed her own documentaries, including Circoncision (2000), in which men and women express their views on circumcision, as a mark on the body, as a lineage, and cultural heritage. Beyond her work in film, Nurith Aviv is frequently invited to teach all over the world. From Language to Language - Israeli writers, musicians, actors and a Rabbi/philosopher - from varying countries and ethnic backgrounds - discuss the relationship between their mother tongues and Hebrew, for centuries a sacred language but today the language of everyday life in Israel. Bruly Bouabre's Alphabet - In the 1950's, Ivory Coast artist Bruly Bouabré created hundreds of pictograms based on one-syllable words in his language, Bété.